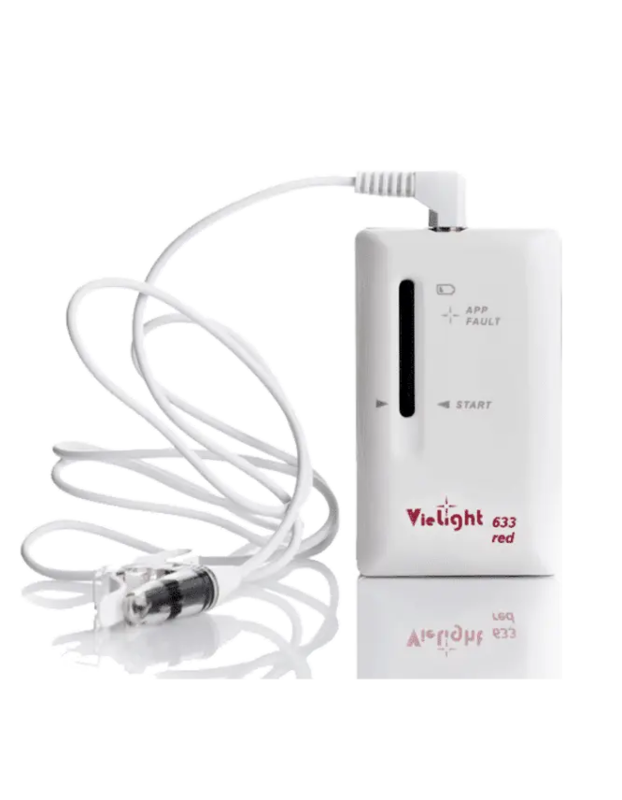 To improve your body’s performance, activate recovery and regenerate cells in depth, the vielight 633 is the photobiomodulation device you need! Small and discreet, it is nevertheless very effective in irradiating and energizing the blood to promote its oxygenation. Your body will regain vitality and tone in a short time! Are you a sportsman? Do you want to take care of your body and improve your performance? Photobiomodulation makes it possible to meet your expectations. The vielight 633 consists of a nasal tip that allows the blood to be irradiated through this channel without experiencing any side effects or pain. On the other hand, your vitality will be greatly increased and your recovery time reduced. Take care of your body! Vielight intranasal therapy: which led color to use? To perform a treatment to irradiate the blood in order to promote its oxygenation and thus the recovery of cells, it is necessary to use red light. It projects a completely painless 633 nm light spectrum that allows the endings of the blood vessels present in abundance in the nose to be touched. For what use should I use vielight intranasal therapy? The device is simply presented. On one side is the control box and on the other end of the wire is hung a very resistant nasal diode. A session takes place by inserting the nasal diode into the nose after having programmed the duration of the session and the desired intensity. It is preferable to use vielight 633 in the evening before going to bed for optimal effectiveness. This photobiomodulation equipment will be particularly useful for athletes who want to improve their performance during exercise, reduce recovery time after exercise and activate the healing of micro muscle lesions. It is also recommended for people who want to improve their vitality in general.